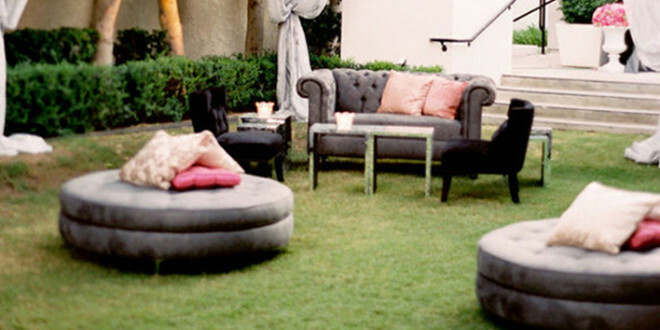 You have a large outdoor area, but not sure how to bring out the value for your next party? Here are four great ways to spice things up in your garden. Simple and effective. For children as well as adults, the garden can be a place of escapism. Create a shack or an extra “private spot”, whether with mattresses, pillows, or simple accessories, can add a new layer to your outdoor. For the more adventurous, invest in an old trailer that you can rework with some bright colors. You’ll have your own little space within a space. It is also versatile enough for you to have a mini terrace where guests can come and chat. For the DIY-phobes, use trees to hang old sheets. You’ll manufacture a small isolated corner in a few seconds. You can also get shade sails. Easy to install, it can be installed on the walls of a terrace, or directly to the ground by using bamboo poles planted in the garden. For the more inventive, go for a pergola. Bohemian and bucolic, this lightweight and often-wooden construction can also be used as a small cocoon to be out of sight. Surrounded by light nets, you’ll love to grab lunch there with your friends. If you have a few trees in your garden, you can use them wisely to create a lovely garden in original ways. Hang Chinese lanterns and candles on the branches of the trees. This will bring both a festive and intimate side to your outdoor. Take out colorful wreaths and garlands to put up during the summer or special afternoons. Get some honeycomb paper balls for your guests. You can also use them for romantic or rustic evenings. If you want to tweak your festive decor in every detail, from the pool to your flowerbeds, it is easily doable. Once again, all you need is a good sense of imagination. Get small accessories that you can poke directly in the earth/soil of your plants, like a windmill or colorful metal flowers. Plant some solar lanterns or bamboo-related products to create a passageway so your guests don’t get lost. Mood lighting is also very appropriate for your outdoor garden. You can display them pretty much anywhere, including inside your pool. There are also some string lights that you can put in your trees. If you have a pool in the heart of your garden, consider highlighting it with some pretty stones or pebbles around it, or try floating lights. The goal is for your guests not to forget this little outdoor party. Throw pillows are a great way to add a small touch of decoration in your garden without spending a lot of money. They’ll bring whatever charm you want to bring to your outdoor. Like indoor ones, throw pillows for your garden come in all forms. In the garden, chairs should be a key component of your space. Everybody loves “natural-style” armchairs, such as ones made out of wood or rattan. Sprinkle them around and your guests will do the sitting. Feel free to mix styles and locations. How about a rattan chair near the pool and a rocking chair under a tree?